and the derriere interior is included. 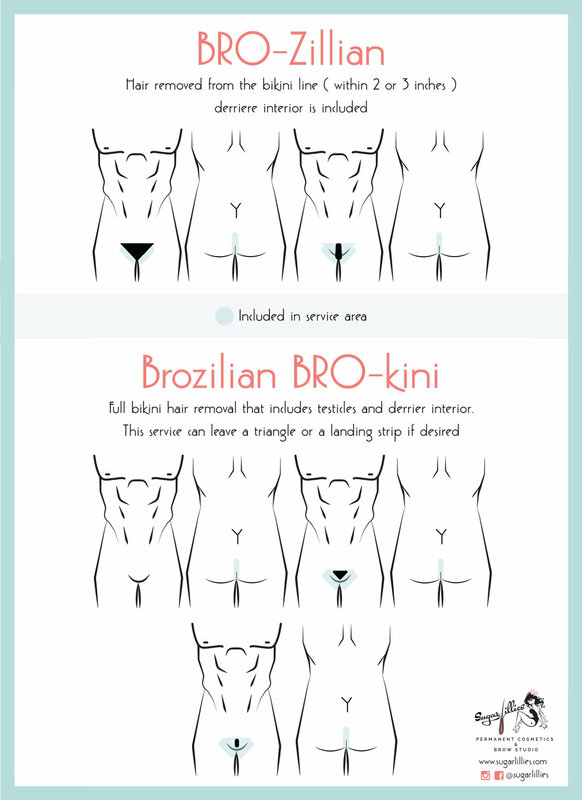 Full bikini hair removal that includes the labia and derriere interior. This service can leave a triangle or a landing strip if desired. on freshly waxed skin in various shapes and designs.